•Job 28:5-7: "As for the earth, from it comes bread, but underneath it is turned up as by fire; its stones are the source of sapphires, and it contains gold dust." •Lamentations 4:7: "Her Nazirites were brighter than snow and whiter than milk; they were more ruddy in body than rubies, like sapphire in their appearance." •Ezekiel 10:1: "And I looked, and there in the firmament that was above the head of the cherubim, there appeared something like a sapphire stone, having the appearance of the likeness of a throne." The Sapphire is a transparent gem, a variety of the mineral corundum. The best-known variety of sapphires has blue tints but sapphires exist in all the colors of the rainbow. The sapphire is second only to the diamond in hardness. For this reason the stone is often used as an abrasive or polishing agent. 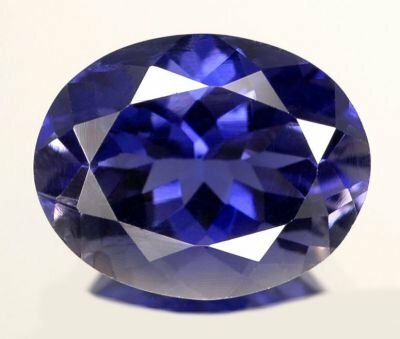 As the sapphire stone is used in the natural for polishing, Tom and Phyllis understood that Jesus Christ desires to use this work to polish His Bride into a reflection of His divine nature and holy character, so as to be equipped to give unprecedented witness to the world, and be ready to meet its Bridegroom. An emphasis on Godliness and full participation in the work of the Kingdom of Jesus Christ on earth would be made to fulfill this purpose.